Dr. Paul A. McGriff has owned McGriff Family Dentistry, a thriving practice in Federal Way, Washington, for 14 years. His unique background inspired him to open an equally unique dental office where his patients receive top quality care. We had a chance to talk with him about his incredible journey. Dr. McGriff, we’ve heard that your dental education differed a little from the typical course. Could you tell us more about that? I am a 1995 graduate of Temple University School of Dentistry in Philadelphia, PA and a 1997 graduate of the United States Army Dental Core Advanced Education in General Dentistry Residency. I served with the Army as a dentist until 2003. 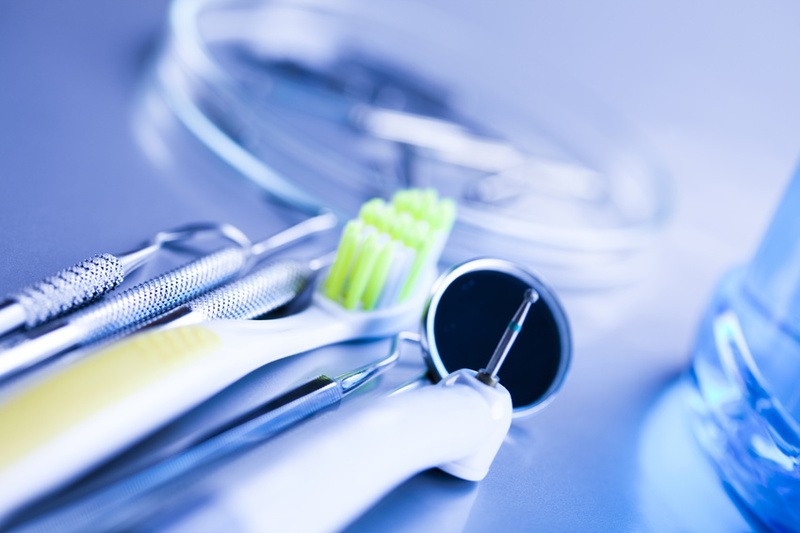 I have worked in various environments, including some chain and corporate dental offices. These experiences led me to start my own office away from the cookie cutter, bottom-line oriented dentistry that I experienced in these offices. You mentioned that many dental offices are bottom-line oriented. Has it been a priority of yours to avoid that? My goal has been to do the best dentistry I could at a fair price and utilize the business consultant group to help run the business part of the company. We have since parted ways from the consultant group because we could not see their value manifest in our business. That must have been a difficult transition. Would you say that’s the biggest obstacle you’ve encountered? The economy went sour which has I think permanently changed the practice of dentistry at all accounts. Our relationships with the banks and our patients has changed as well. The insurance companies have also made it very difficult with the strong Washington and state lobby they wield. Patients have less disposable income as a result. Tragically it’s that disposable income that pays for dentistry. More than ever, dentists have to educate patients to see the value of the services we provide. Teeth generally don’t hurt as they degrade from pathology. It can be a hard sell sometimes to get people who are struggling to pay bills to tend to their asymptomatic teeth. It certainly sounds as though running your own practice has its challenges. What would you say has been the most rewarding part of the process? Making people happy and giving them a positive treatment experience. Dr. McGriff’s practice, McGriff Family Dentistry, is located at 2335 SW 320th Street, Suite #2, Federal Way, WA 98023. For more information about his practice, visit www.mcgrifffamilydentistry.com. Dental implants in federal way, Sensitive teeth, Treatment for sleep apnea, Family dentist federal way wa, Dentist federal way, Treatment for sleep apnea. You’ve been in business for more than six years now. Are you where you thought you would be at this point? Fat transfer fayetteville, Monroe fat transfer, Vaser liposuction jackson, Vaser liposuction cartersville, Prices of liposuction, lawrenceville medical day spa.